↑ Pocock, R. I. 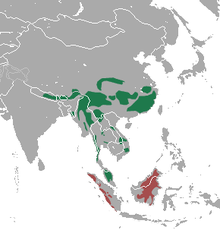 The fauna of British India, including Ceylon and Burma. Mammalia. – Volume 1. (London: Taylor and Francis, 1939), p. 247.